Oracle Offcampus Drive 2016-2017 At Noida In June 2016. Oracle Offcampus Drive 2016-2017 At Noida In June 2016. 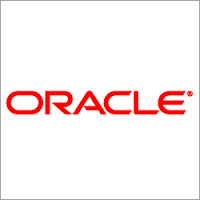 Openings For Freshers At Oracle As Business Development Representative. BE, B.Tech, BCA, B.Sc, Freshers Jobs 2016-2017. 0 - 2 years related experience. Portuguese Language Resource Required to cover Brazilian Markets. The role would require cold calling and customer prospecting. The resource will also be responsible for qualifying the customer needs and creating qualified opportunities for the Account Management Team. The BDC Rep will be responsible for calling in Brazilian Markets specifically. The role requires making at least 60 calls per day. Candidate should be well versed with platforms like LinkedIn to prospect customers and profile organizations. The rep will be assisting the Account managers and Field managers with campaigns and other targeted events. Post opportunity qualification, the rep will be responsible to enter the opportunity on fusion and work with the mapped sales manager to set up a discovery call with the customer. 0 on: "Oracle Offcampus Drive 2016-2017 At Noida In June 2016."